I'm back! And with an uber late mini Review of Pandoras Tower, the 3rd major JRPG release along with Xenoblade Chronicles and The Last story. This was originally posted a couple of weeks ago on my personal blog lookingglass.kokidokom.net but now I'm putting it on the CBlogs so others can take a gander and try to make up their own choices about the game! OK, this mini review is late... Really late!! In fact, I could have finished the game twice more since I last saw the end credits up until now, but I have a good reason!! Basically, in an unprecedented move where Nintendo wants to appear to actually care for European gamers, they announced a special offer whereby if you register your copy of all 3 major JRPG releases (Xenoblade, the Last Story and Pandora's Tower), they were going to give you a cool little something for free to commemorate their release. You needed to register within a few weeks of the release of Pandora's tower to be eligible so we're not talking huge numbers here! Anyway, once registered, we got a message saying that they would contact us in the first week of June to ask for a shipping address. I think most of us assumed that they would spend the time crafting said items ready for shipment since they knew how many they needed by then. Then, after we told them our addresses, we got a followup email saying that the item would be shipped in October... FFFFFFFFFFFFFFFFFFFFFFFFFFFFFF!!!!!!!!!!! Even when they try to act nice, Nintendo still manages to screw over European gamers! The original plan was to wait for the special item and then show it off as part of the review, but that's not going to happen now if I'm not going to get it until November (they ship near the end of Oct!). By that time, even the US might actually get the game, leaving us with one less thing to gloat about! So I'll revisit the games again later but for now, here's a very belated review of a very underrated game! 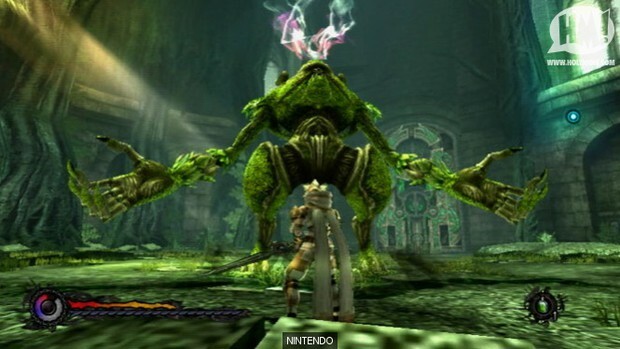 Pandora's Tower is the 3rd in the "JRPG trilogy" release after Xenoblade and the Last Story but without any big names or companies behind it, many people dismissed it as the weakest of the three before it even arrived in the shops! A view which is incorrect IMO. At its core, it's a dungeon crawler RPG. The setting is a world at war between 2 major powers. You play a soldier named Aeron who fought for the opposing side from where the story takes place and was nursed back to health by Elena, your love interest in the game. Then, during a festival, Elena was cursed and slowly started transforming into a monster. With the help of an old lady who knows more than she lets on, the 2 of them make their way to a desolate area which has been closed off and houses the 13 towers, where the game is set. 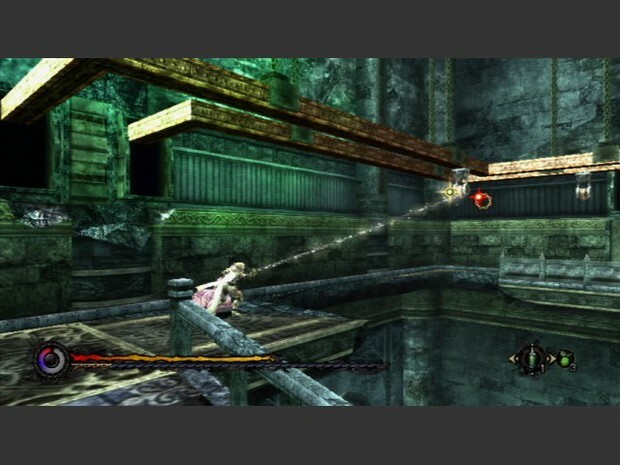 Very early on, you are provided with a weapon called the Oraclos Chain and find out that feeding Elena flesh from the monsters in the tower allows her to revert back to her human appearance. However, only by eating the flesh from the most powerful monsters at the top of the towers will stop her change completely so your objective is to climb all 13 towers, defeat the monsters and feed Elena their flesh to cure the curse affecting her. The initial 12 towers follow 6 distinct themes representing the elements (fire, water, earth, etc) and each element has a tower guarded by a male and female deity, and boss. What that means is that once you complete the first 6 towers, the next 6 will look and feel very familiar as the basic layouts are the same although they are not identical or even mirrors. There is one cool bit at the end where the 2 towers are actually linked and you need to warp between them in order to find a path to the top as one will allow you to progress faster than the other. 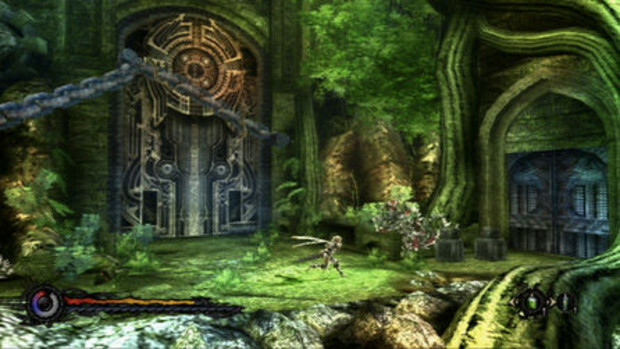 In terms of gameplay, it's an action RPG with some similarities to the legend of Zelda series but the exploration and layout of the dungeons themselves, remind me more of a metroidvania style game, which is a shame because there are several points where you wish that the dungeons were interconnected to allow you to move around and find your own shortcuts and ways to progress. The structure definitely feels like it could support that style of gameplay and you do acquire new abilities for your chain as you progress but it feels like the developers didn't want to push things so the dungeons are independent and, for the most part, rather linear. Combat is simple but effective. You start off with a sword which can be upgraded as you collect items in the dungeons and give them to the old lady, Mavda. 2 other weapons become available as you progress but I stuck with the sword throughout. Your chain can also be used to immobilise the enemies as well as throw smaller ones around. In a neat little twist, the larger enemies have various areas to target so attaching your chain to their weapon arm allows you to disarm them if you're quick or attaching the chain to their legs prevents them from moving. Where you attach your chain also affects what item you can get from them once they are defeated. Aside from that, the chain also operates like a hookshot from the legend of zelda, allowing you to hoist yourself up to ledges, swing off certain ornaments and also unlock certain doors. That's pretty much it. Unlike the previous 2 games, there's not too much depth or development in the story. As you proceed, you do learn more about what happened in the tower before it was abandoned and, by helping Elena and providing her with gifts, your affinity with her will increase and will affect what ending you get at the end of the game. So, how was it? Boss fights - To heck with the Lollipop Chainsaw bosses! The ones in Pandora's Tower may lack the personality of the zombie horde, but they're unique in their own right and the methods of defeating them are totally different and require completely different tactics. They're definitely the highlight of the Dungeons! Simple but effective story - There's no "gotta save the world" or "must protect my Country" plot here. It's just one guy trying his best to help the girl he loves. That's it! And it feels kind of refreshing. It also helps that Elena isn't a girl you're chasing after or a hindrance. You're never left with the feeling of "Why the hell am I having to chase after this girl through all this crap?" like you do in the Legend of Zelda games nor does she get in your way during the bulk of the gameplay. Surprisingly deep combat - Initially, I didn't even realise that I could aim my chain at other body parts of the enemy, but once I was certain, it definitely livened up things as I was able to disable one enemy while focusing on another and there were even little puzzles like lighting lanterns around a darkened room by throwing flaming bugs at them to light them! Characters you actually care for - When you think about it, not that many RPGs do this part right. Even for the best ones, you don't often progress through a game wanting to genuinely help a character. Instead, you do it to find out how things progress or what happens next, like the plot in a film or book. 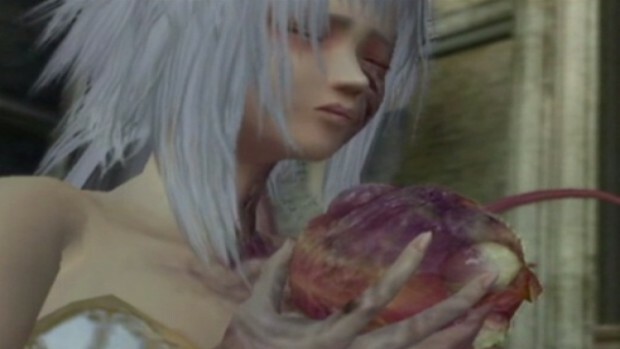 There's a slight disconnect between you and the game characters so it's pretty impressive that Pandora's tower made me care for Elenas wellbeing rather than just simply looking at her as a way to push some parts of the plot forward. Dubbing - All I can say is, I'm really glad that Aeron is mostly silent for the game as his voice is just awful! Elena is a weird one as she seems OK when she's just talking but at certain parts of the game, she sings... and there's a MASSIVE disconnect between her singing voice and her normal one. There's just no way that her speaking voice could produce singing like that! Then again, the original Japanese VA was Noto Mamiko. Not my favourite VA, but even she would probably sound a little off. The singing was a proper full blown Soprano part! Dark as HELL! - *SPOILERS* this game does not have a happy ending!! There are 7 ending in total and each one basically has someone being screwed over, even the "best" one! When I first finished the game, I got the "B" ending and my first thought was "are you serious??" after working your way though the game, it really puts a downer on things, even if it is a logical conclusion! Missed opportunities and a lack of Polish - As I stated before, there are quite a few points where one feels like this game could have been made into a brilliant metroidvania style game which pushed exploration if the designers were more clever with their level designs but it never happens. But the biggest fault of the game is simply how things seems to just stop at "satisfactory" without pushing beyond that, aside from the boss encounters. Combat feels like it could have been much better with some refinements, but it just stops short because it does its job well enough as it is. Ultimately, Pandora's Tower feels like a game which could have been amazing but decides not to push the envelope and is happy with what it has accomplished. That doesn't mean it's a bad game but it keeps bugging you with thoughts about what if? Having said that, saying it was a failure or even the weakest out of the 3 Wii JRPGs is off the mark. For me each one brought something to the table and had some glaring issues. Xenoblade gave us a massive, expansive world with so much to do but was marred by poor storytelling which required you to suspend your belief several miles. At times, I wanted to just slap the characters and spell things out for them because it was just painful watching them progress the way they were doing. The last story gave us a masterful story which was concise yet large in scope and put in a competent battle system but was marred by being too linear and felt like you had no control over where anything was headed, even though it wanted to give you the illusion that you had some say (the "choices" given to the player sums it up neatly). 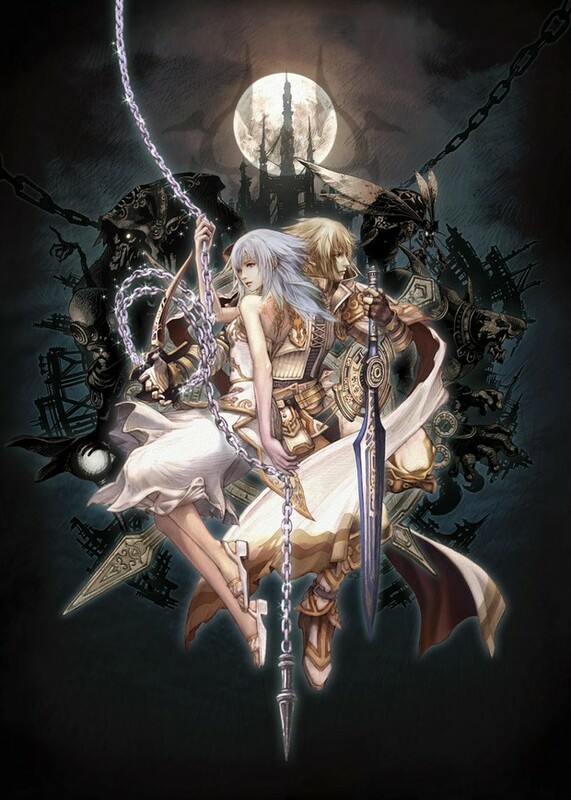 As for Pandora's Tower, it gave us the best sense of exploration, made me care about the characters more than the previous 2 games and showed that a story doesn't have to be epic to be a JRPG. 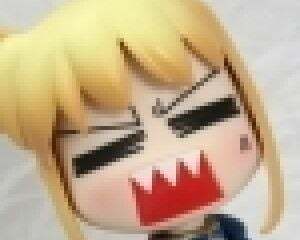 And, incidentally, I enjoyed my time with Pandora's Tower more than Xenoblade. Xenoblade may have been the larger title in pretty much every way but it really started to drag near the end. At the same time, the Last Story felt a little too abrupt, even though you could see the end coming a mile off! Ultimately, there was no "best" between the 3 but each one catered to a different element that makes a great JRPG. If you miss out on one, you're missing out on something! In real life, I go by the name of Chris, but in the realms of the internet, I am known as GundamJehutyKai! The name itself came by an IRC chat many moons ago and is a combination of my 3 main loves: Anime (Gundam), Video Games (Jehuty) and Giant mecha, which can be seen from the names used. The "Kai" was just added later as a suffix. I'm a pretty big collector of anime figures and spend a lot of my time building and painting resin kits, so I tend to be more active on the Destructoid sister site, Tomopop but I thought I would jump the gap and see what else is in store! I've been playing video games since the days of the NES and I still own almost all my consoles which I have purchased over the years, all in still working condition! As well as building anime model kits and playing video games, I also maintain a small blog which I use primarily to show the progress of whatever model kit I am working on but I also throw in a few random video games review and particularly noteworthy news as well. Feel free to check it out if you wish.